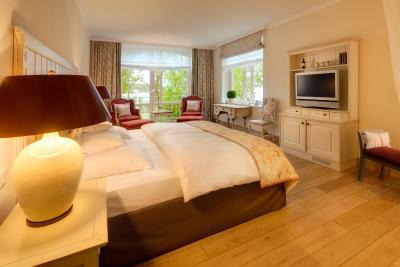 Lock in a great price for Vitalhotel Alter Meierhof – rated 9.1 by recent guests! The wellness facilities were excellent. Food was available in the wellness area. Once before we had this good experience to dine in a bistro/brasserie, which has a shared kitchen with the Michelin restaurant. 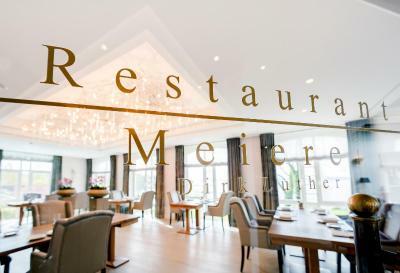 The brasserie experience is so far the best foodie experience we have had in a hotel restaurant and close to many good restaurant in Germany. Service, winelist, FOOD, wine. Wauw!! We felt like our PM&Vänner experience years ago in Sweden. Fitness room can be better - one wishes to burn some calories after this experience!! Overall a very good experience. Thank you Mehdie fom Ceuta in the bar, very attentitive and knowledgable about wines, especially Luddite! The garden was beautiful and the Spa was nice, the breakfast was very good. 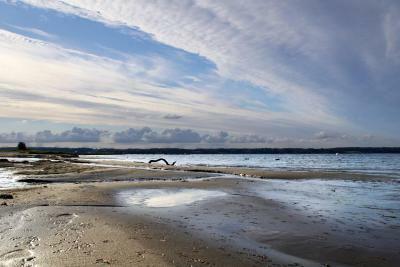 Great location, with the most fantastic and romantic garden/sunset. Very friendly and helpfull staff. Excelent breakfast. Nice spa area, with an in- and outdoor pool. THe spa and pool and the location og the hotel was excellent!! Excellent stay - we stayed here before and will come back again for sure. We upgraded the room to one with seaview. The outdoor swimming pool at night was amazing. Breakfast was delicious with lots of variety, wish we stayed down in the breakfast area longer. We enjoyed the use of the pool and sauna after we checked out. Breakfast buffet was fantastic, a really great choice, including multiple selections of teas. The staff were very friendly and were great with smaller children. We had a wonderful time. Great breakfast, beautifully presented and served. 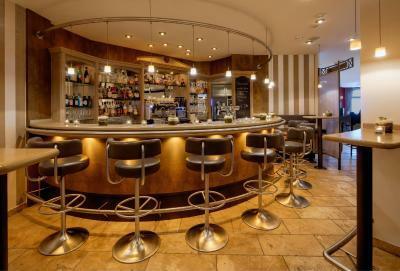 Vitalhotel Alter Meierhof This rating is a reflection of how the property compares to the industry standard when it comes to price, facilities and services available. It's based on a self-evaluation by the property. Use this rating to help choose your stay! 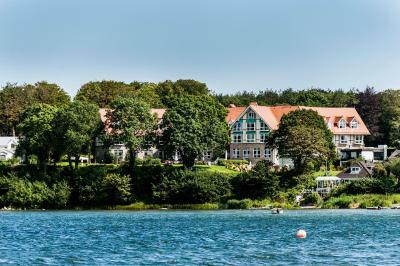 One of our top picks in Glücksburg.This 5-star hotel lies on the Flensburg Fjord in Glücksburg. 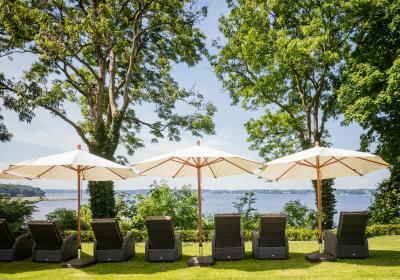 Relax in the 4.6 ft² spa area or in the outdoor pool in the garden, boasting wonderful views of the fjord. 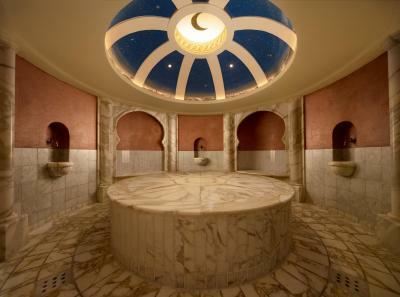 The Vitalhotel Alter Meierhof's spa and fitness area offers an indoor and outdoor pool, a Turkish hamam temple and a wide range of massages and beauty treatments. 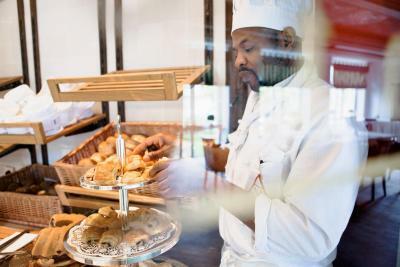 Your day at the Alter Meierhof starts with a delicious breakfast buffet, which is included in your room price. 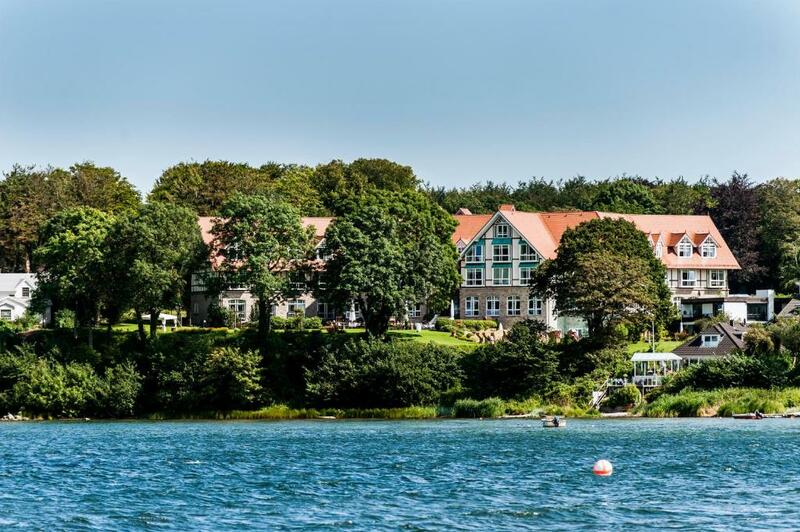 In the evening, visit the Restaurant Meierei Dirk Luther, which has been awarded 2 Michelin stars and offers panoramic views of the Baltic Sea and the Danish coast. 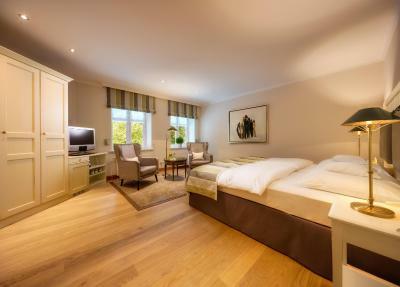 Free Wi-Fi internet access is available in the elegant rooms at the Alter Meierhof. Look forward to luxurious furnishings and individual interiors, as well as views of the fjord, the Solitüde bay, the town or peaceful woods. 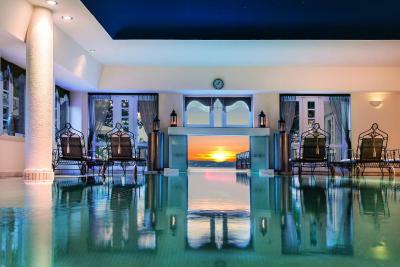 When would you like to stay at Vitalhotel Alter Meierhof? Elegant double room featuring a mini-bar, cable TV and bathrobes in the private bathroom. Looks out at the hotel entrance and surrounding forest countryside. 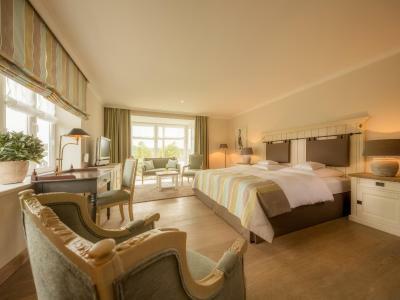 Elegant double room with a view of the forest. It features a mini-bar, cable TV, bathrobes in the private bathroom and a separate toilet. 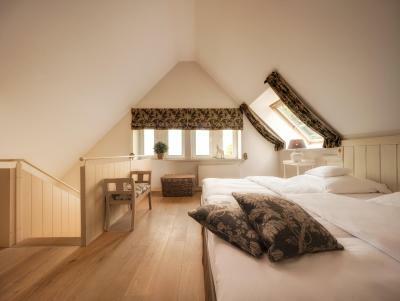 This room is extra spacious and offers a bathtub as well as views of the Flensburg Fjord. 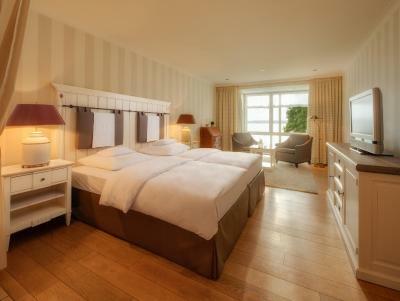 This room is extra spacious and offers views of the Flensburg Fjord. A bathtub and rain shower are also included. Elegant suite featuring a mini-bar, cable TV and bathrobes in the private bathroom. 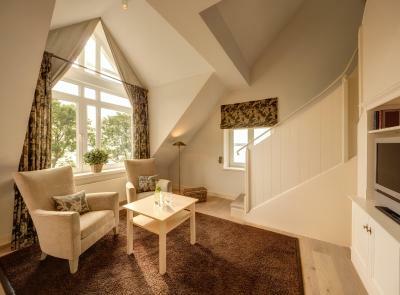 This 2-floor suite includes a large living room, and a bedroom as well as views of the Danish coast. The integrated bathtub also provides a romantic setting. 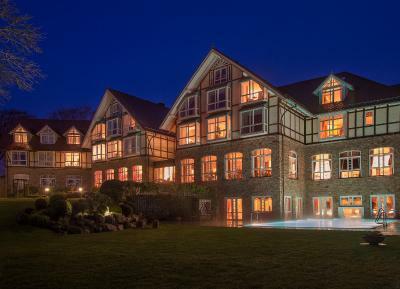 House Rules Vitalhotel Alter Meierhof takes special requests – add in the next step! Vitalhotel Alter Meierhof accepts these cards and reserves the right to temporarily hold an amount prior to arrival. 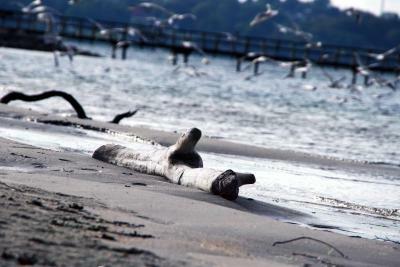 Please note that reservations are necessary for bookings at the restaurants and wellness facilities of this property. Please note that children up to the age of 12 may only use the spa area, indoor pool and outdoor pool between 07:00 and 09.30 and between 18:00 and 22:00, and must be accompanied by an adult. In June, July and August, these time restrictions do not apply. Please also note that check-in is only available after 16:00 on Sunday and public holidays. When the master switch in the room is turned off (room 314) all of the electrical outlets get turned off so that computers and telephones are not charged. One outlet should remain active for this purpose. Fitness room is very small - not much to chose from. Clean, excellent service and good breakfast. Service in restaurant was slightly slow. We have booked a room with garden view, but our room had parking and street view, it was noisy early in the morning and we could not sleep as long as we would have wished. The reception staff was not very helpful, rather unfriendly and our complaint had no effect, we have been told that there is a garden on the side and that we can see some trees (picture of our room view attached) the only proposal we got was to change the room for 100 EUR night extra payment. The food and the beverages in the Spa were very much overpriced. for a Spa area. The restaurant menu was very good, but again slightly overpriced, strange comments of waiters instead of wishing us "Guten Appetit" while serving the dinner, they told us "Viel Spass" - we spoke German with the staff, the restaurant has a certain level and this comment does not fit. The service in the Bistro was incredibly slow. We waited well over an hour before any food arrived and ages also for the bill before we could leave. As a result, we didn't eat there again, despite staying 5 nights. Also we were refused service in the spa cafe, because we were not wearing swimwear. Again, we never ate there as a result. The sauna were a bit small and the steam bath was a bit noisy because of......well, the steam. When I arrived at the place recommended for taking the keys nobody was answering so in the middle of the night I was forced to find another hotel and pay extra moneys. On the shower side the drain was blocked so all the water was going out from there into all bathroom. The room was clean and ok in general. We accidentally booked a "single use" room to find we owed more money on arrival - this room option shouldn't be available when searching for rooms for 2. Not a great start to our stay here.